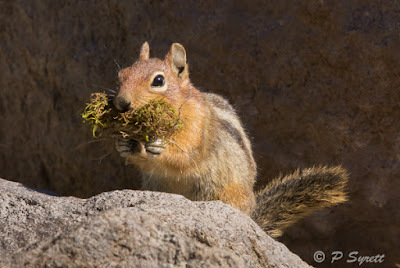 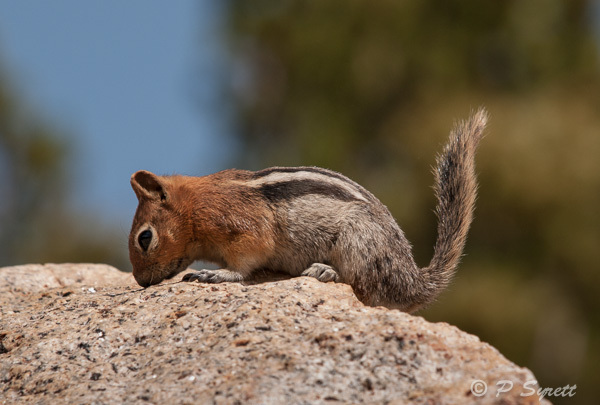 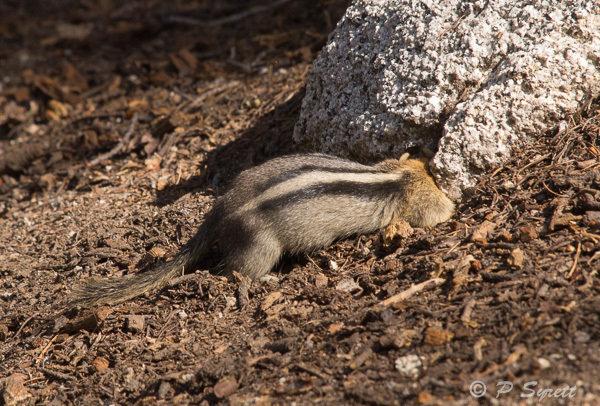 I find golden-mantled ground squirrels the easiest of all squirrels to photograph. They occur throughout the mountain areas of the western United States, so I see them almost everywhere I go when I am travelling there in summer. 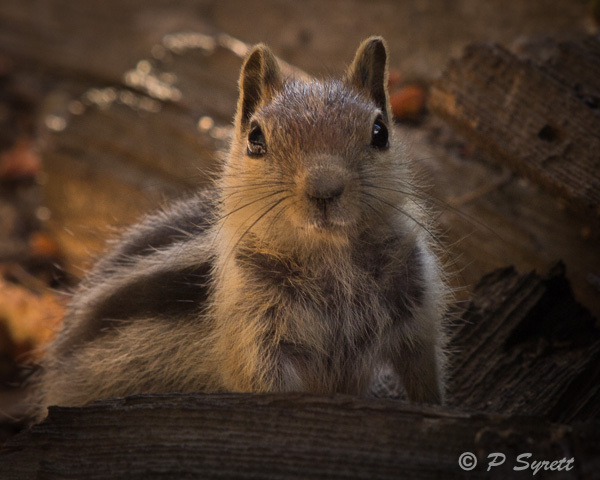 These squirrels are usually not wary of humans so readily allow a photographer to approach them. 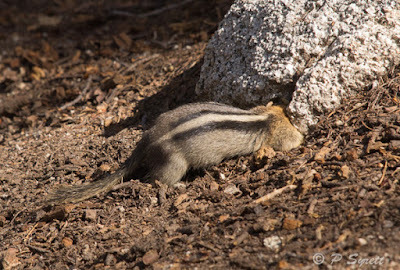 And campgrounds are favored foraging areas. 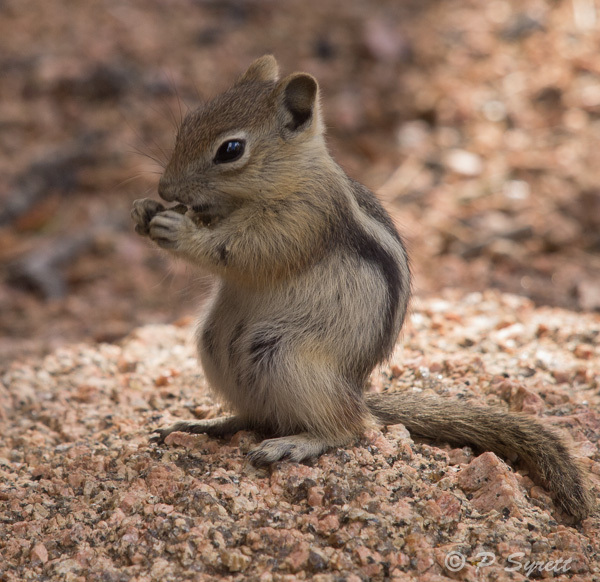 We watched these young squirrels playing in a camping area in Colorado for several days, under the watchful eye of their mother. 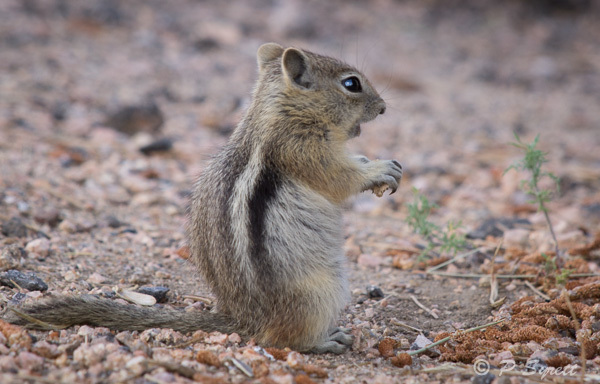 However, on our last day, the adult disappeared and her offspring dispersed to different areas where they searched for food separately. Now if one young squirrel encountered another, it would chase the intruder away. Food gathering is an important activity later in summer as although these squirrels hibernate for much of the winter, they also hoard food in their burrows to see them through either unusually warm or cold periods, when they wake to feed. All the photographs so far have been of the most widespread golden-mantled squirrel. 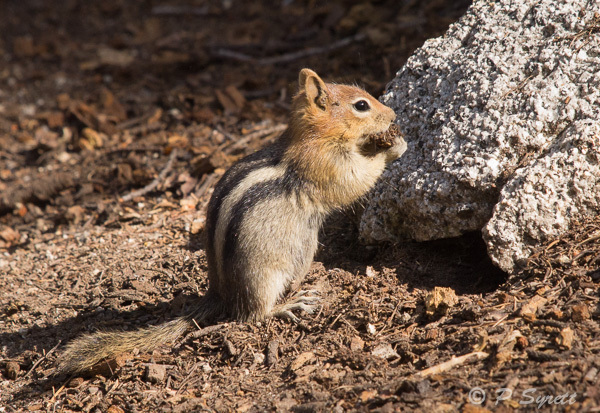 This is Callospermophilus lateralis, which occurs in higher areas from Arizona and New Mexico to Canada. 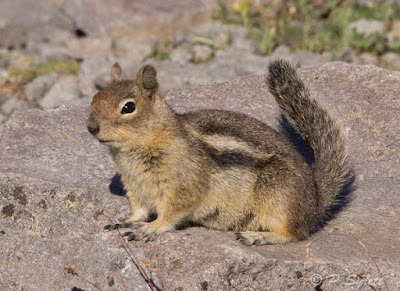 Another species, with less distinctive dark side stripes, Callospermophilus saturatus, is found only in the Cascade Mountains of Washington and southern British Columbia. There is a third species in northern Mexico. Notice that the colour of the fur varies markedly in both species of squirrel.